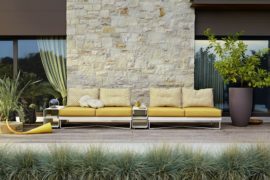 While you are currently enjoying the best of summer months and their warmth, soon colors of fall are bound to take over. 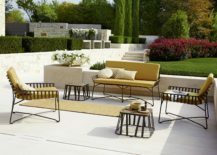 Yet, the fun outdoors is bound to continue as you host friends and family through the holiday season and décor that can withstand the vagaries of changing seasons and weather is an absolute must. 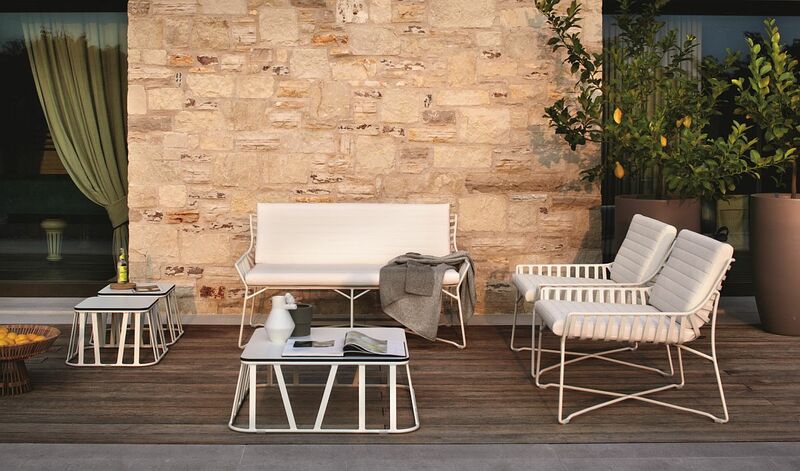 Today, we showcase two different outdoor décor collections; each with its own unique charm and inimitable flavor. 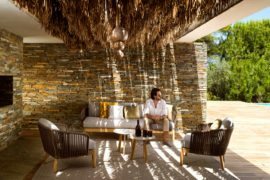 Yet, both of them seem to be bound by contemporary minimalism and a hint of geometric flair and perfection that sets them apart. 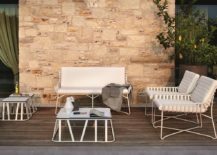 The Regista Series of Armchairs and Easy Chairs designed by Monica Armani feel refined, contemporary and yet unassumingly classy. 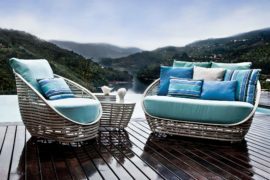 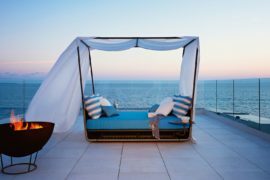 They fit in with a wide range of outdoor spaces with varied styles ranging from minimal and modern to coastal and shabby chic. 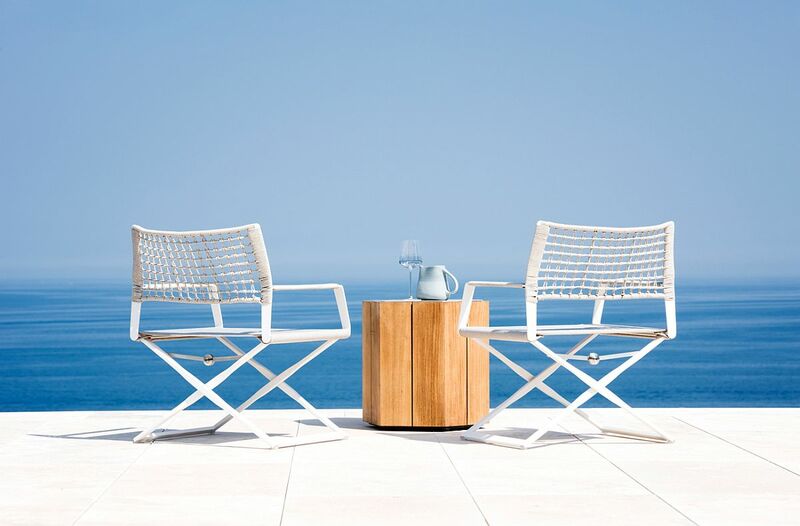 Coming in a variety of neutral hues, it is the distinctive, handwoven weather-resistant fiber body of these Tribu chairs that gives the collection its unique identity. 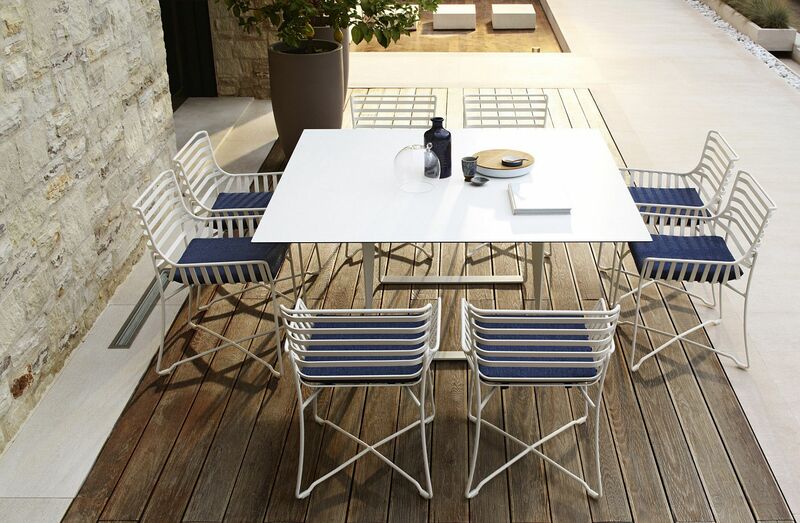 Add to this the allure of powercoated aluminum legs and you have a winning combination that stands the test of time! 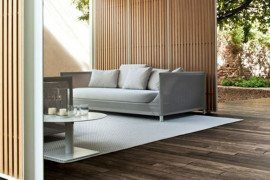 Looking for a bit more color and charisma? 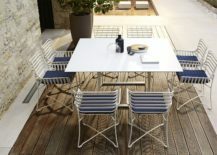 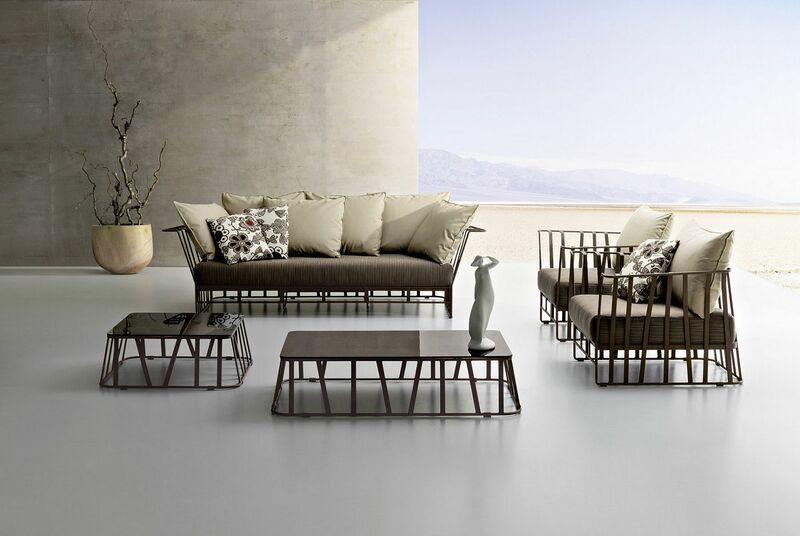 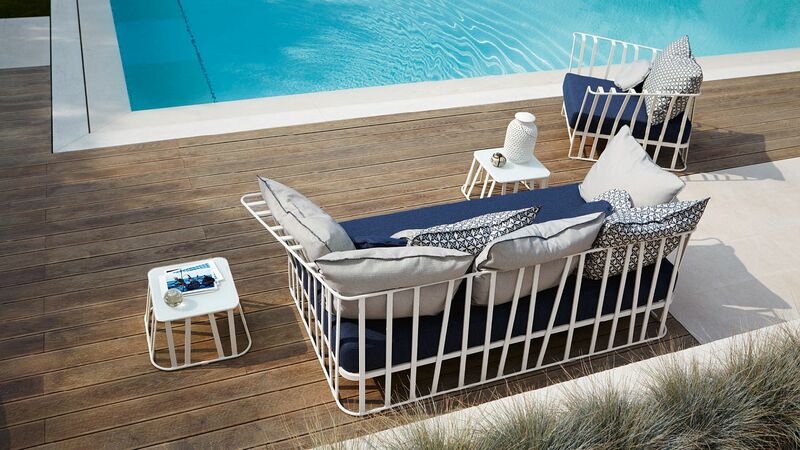 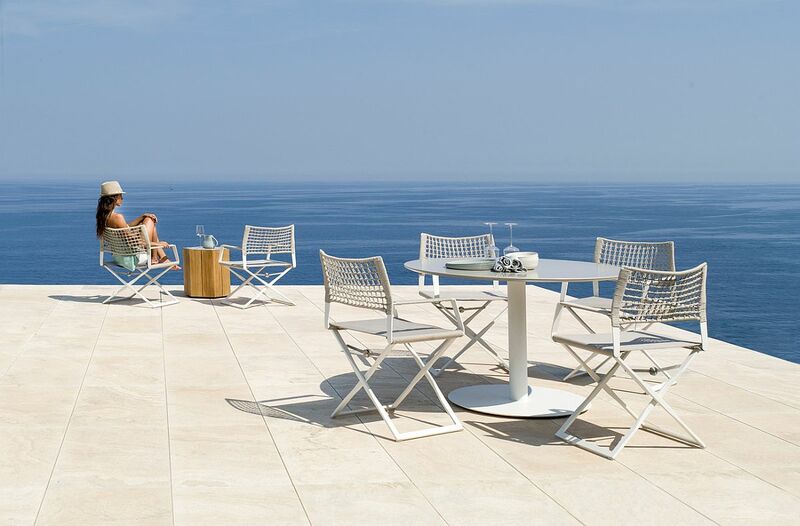 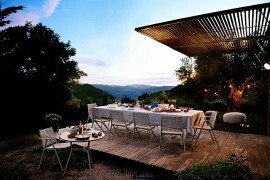 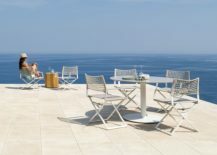 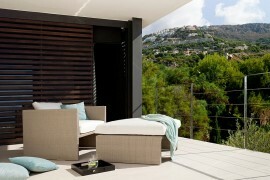 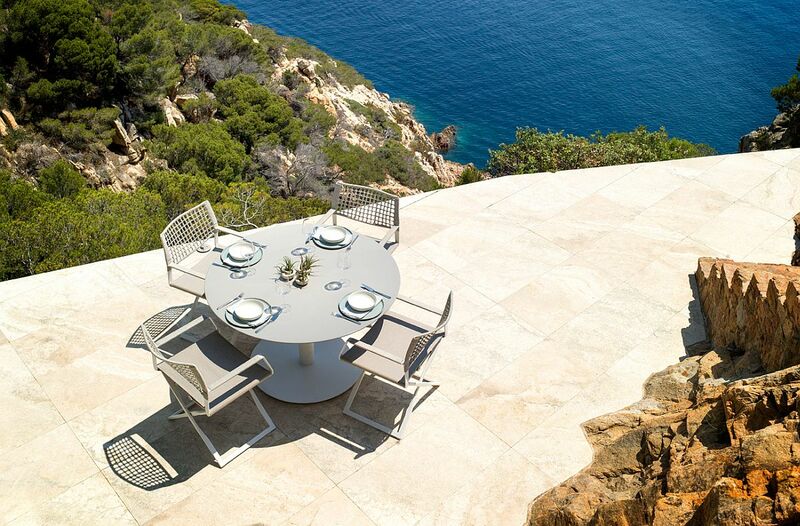 Then the Hamptons Graphics outdoor furniture collection is the one for you! 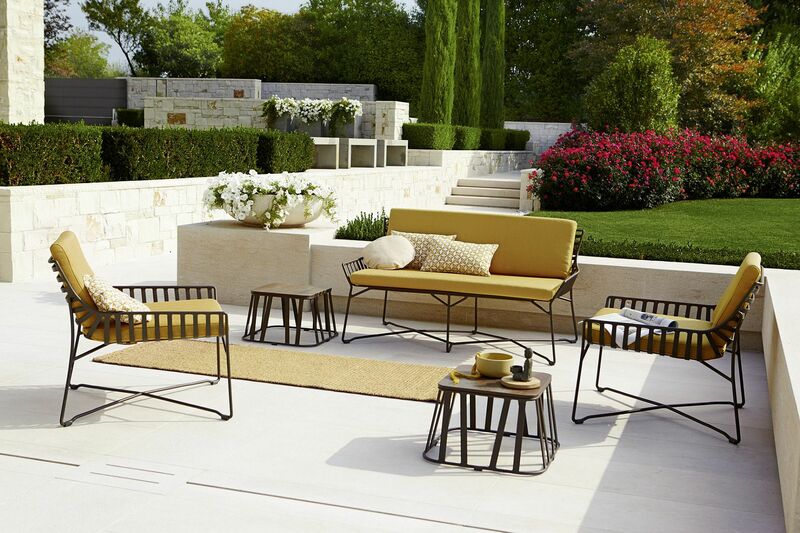 Blending a seemingly simple outline with pops of bold color and fun compositions, this innovative new series from Roberti leaves you captivated. 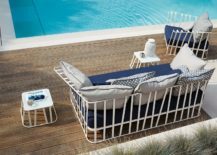 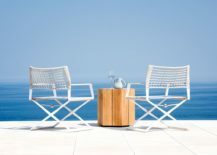 From armchairs and sofas to relaxing easy chairs and outdoor loungers, you will find everything you need here in two different hues – white and coffee. 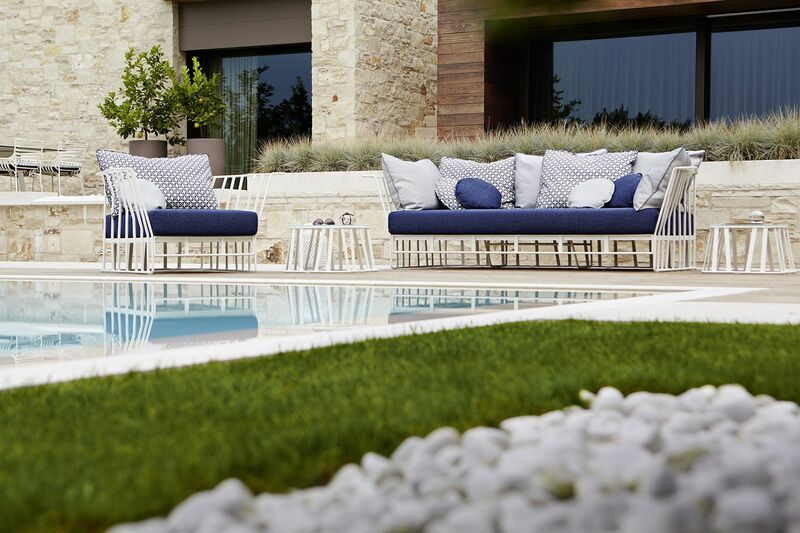 Of course, it is the bright cushions that add another layer of eye-catching glam.